View to the dockyard from Kızıl Kule. 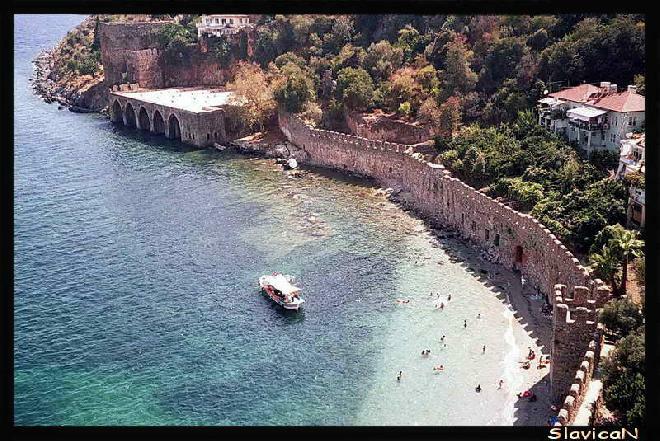 The dockyard of Alanya (Seljuk tersane) was the first one of Selcuks in the Mediterranean. Its construction started in 1227 and finished in one year. The front side of the dockyard overlooking the sea and having five cells with arches is 56.5 metres long and it is 44 metres in depth. Uploaded by slavica on 11/3/2007, viewed 6051 times.